Released Tuesday afternoon, the first Rivals250 for the class of 2012 is filled with players verbally committed to play for the Florida Gators next season. Though only one Florida commit was in the company’s Rivals100 released on Monday, six more are considered to be in the top 250 recruits in the nation. At 6’6” and 315 lbs., Dunker is listed as the No. 12 overall offensive lineman in the class and the third-best in the state of Florida. He has already accepted an invitation to play in the 2012 Under Armour All-American Game and is rated a 5.9/6.1*. The second running back to commit for 2012, the 5’9” 192 lbs. Davis was given a 5.8/6.1 ranking by Rivals and is listed No. 12 at his position in the nation and No. 1 in the state of Georgia. He recently earned a Most Valuable Player award at the Nike Football Training Camp in Athens, GA.
Florida’s first running back commit, the 6’2” 200 lbs. Jones was heavily recruited by the Gators and is listed as the 16th best rusher in the country. Rated 5.8/6.1, he is ranked as the No. 3 back in the state. A 5.8/6.1 rated player like his future teammates, Powell is ranked as the No. 24 overall linebacker in 2012 but No. 2 in the state of Florida. At 6’2″ and 200 lbs., he is the Gators’ only commitment at the position. The No. 17 defensive tackle prospect in the nation, Phillips is 6’6” and 268 lbs. and is becoming a force in the middle. He is also rated 5.8/6.1 and listed as the No. 2 player at his position in the state. At 6’1” and 190 lbs., Pittman may not have the size of an elite prospect, but his 5.8/6.1 ranking puts him up there talent-wise. He is the 36th-ranked wide receiver in his class and No. 6 in the state of Florida. Glad to see the current recruits made the list, we have a lot of ground to make up on FSU they are killing it again this year. FSU always has good recruiting classes. They are always top 15 most being top 5 over the last 5-10 years. You can clearly see how that translates on the field, no ACC titles and 3-6 loss seasons. I worry about the Orange and Blue and not how FSU is wasting talent. FSU is our primary competition in our own back yard, nearly every recruit they have we wanted and pushed for hard. During Urban’s years we destroyed FSU in recruiting and the results played out on the field. FSU is how you gauge our recruiting. So far the class is average and last year’s class is about 16 players right now which would put us outside the top 25. When you are trying to overhaul both sides of the ball you need the right guys, and we don’t have a lot of guys right now. We are in the mix for the top recruits so hopefully it plays out. I want us to succeed just as much as you do, but the fact is our current staff hasn’t won a game yet and they are losing the recruiting battle with their primary competition and I’m concerned. These stars are great for selling magazines, getting “hits” on websites, and pumping kids egos. Other than that, meh. I tend to go with evaluating the coaches doing the recruiting and if they know how to measure talent. If they are at the top of their game, they’ll bring in the best talent – regardless of the stars. FSU can have all of the 4-5 stars they want, but as I said, it’s coaching and field translation, both of which they have not had in the last 8 years. Please do yourself a favor and go check out the past class rankings. FSU is in the mix right with Florida, yet you have seen the end result. You can also see how teams like Boise, Oregon and others are not in the top of anything yet compete year after year. Something stinks with this list, and we all know what it is. Just the usual reminder that the rankings mean nothing and the commitments mean nothing. Let’s get these guys on campus. The only way to evaluate a recruiting class is to see how they did five years from now. I’m not sure why the concern @ john s. Gators have they fair share of top recruits already (class is far from avg). Yes pulling in 5 stars recruits is cool and fans get to brag, but there are no more then 40 of them a yr. Which mean most championship teams are built with 4 and 3 star players. Fsu is improving but im not worried about them. no reason to be till jimbo is holding a crystal football. They lost ponder, EJ can be great or stink we’ll see this fall. To completely overhaul your offensive system you need new players. I am mainly disappointed that the players that already committed didn’t rank higher. Sure the ratings may not matter, but I’m concerned that most of the players that we’ve competed with FSU directly for both this year and last year have chosen FSU. As a biased gator I can’t understand it. Now if we can pull Noor Davis on Friday I’ll feel a lot better. Noor is a beast with a good head on his shoulders. Lets hope he stays close to home and dons the Orange and Blue. I assume when its all done most of those players will rank higher, sadly rankings are based a lot on who all star game you’re going to or who camp you went to. 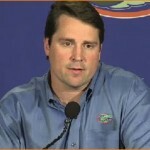 Noor will be a huge get for the gators give the staff time if they were pulling in no body’s i will be concern then. Most of the higher ranking players will wait to commit until much later, under media spotlits..the all star games, signing day announces, etc….as long as we are in the running for them at that point we should get a few. The title of the story suggests these players are Gators???? They are still only recruits. Sorry to be tehnical this morning. A title is meant to draw your eyes to the story. We have space limitations for one-line titles. The story is quite clear, no?